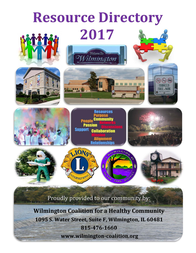 The coalition does the following in order to identify substance abuse prevention priorities and to determine effective substance abuse prevention strategies for Wilmington: Coordinates substance abuse prevention (SAP); Collects SAP local data; and Creates policy Additionally, the coalition uses the Substance Abuse and Mental Health Services Administration’s (SAMHSA) Strategic Prevention Framework as the basis for our activities. Below is the pictorial view of this process. ​​How big and what type of a substance use problem is in the community? What resources currently exist within the community? What is supporting the substance abuse problem within the community? How ready is the community for prevention? What is Capacity? Capacity involves more than just funding. Building capacity includes resources, people, partnerships, coalitions, and skills essential to the successful implementation of prevention plans. 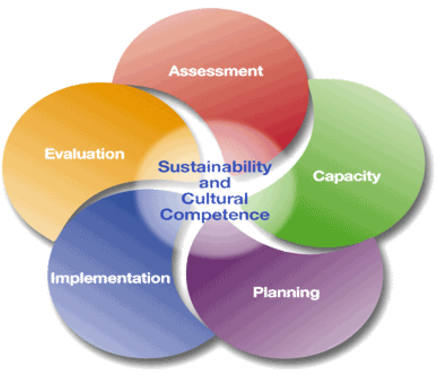 Capacity involves mobilizing resources, engaging stakeholders, partnerships with the community, building coalitions, developing readiness, and keeping a focus on cultural competency, sustainability and evaluation. Involve key leaders from community sectors (i.e. law enforcement, media, government, school, business, youth etc). Form and train the community board. Implementation requires you to take action as guided by the developed strategic plan. It includes developing detailed action plans for elements of your intervention, including balancing fidelity of implementation with adaptation. Implement prevention plans as indicated in the strategic plan. Why Do I Need a Strategic Plan? Planning creates a comprehensive, logical, and data-driven plan to address the problems identified in the assessment and capacity building process. The plan includes strategic goals, objectives, performance targets, logic models and action plans. Evaluation includes process and outcome evaluation. This includes monitoring, evaluating, sustaining, and improving programs. What does the Evaluation Step include?